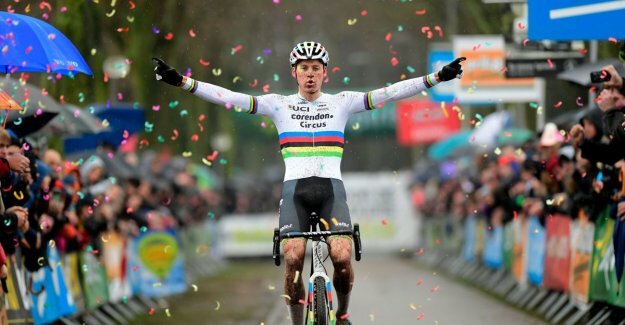 Cyclocross, Mathieu van der Poel (Corendon-Circus) won the Parkcross in Maldegem, the seventh and penultimate round of the Brico Cross. The newly crowned world champion opted for two laps of the end for the high seas. Michael Vanthourenhout and Show Aerts finished on the podium. Wout van Aert finished his that racing in a minor key. Wout van Aert was his last command of this that racing is not worse position. At the start, he shot - not for the first time - from his pedal. He concluded the very first bend on a thirtieth position and would never appear in the head of the course. World champion Mathieu van der Poel, Michael Vanthourenhout and Lars van der haar missed their start, however, David van der Poel, Belgian champion Show Aerts and silver medalist at the promises Eli Iserbyt locks a little later. After a few rounds in the shelter to hold, felt the man in the rainbow jersey halfway cross the legs itch. Vanthourenhout counterde as a first attack and also Van der haar and Aerts were a little later the connection. Van der Poel seemed to not move. Initially, in any case, because persistence pays. On two rows of the end placed the new-fangled world champion, after all, a new acceleration. The bird was now, however, ready to fly - does it still surprise you? His victory was not in danger. Victory number 28 of the season.